Clean CARFAX. Red 2018 Jeep Grand Cherokee 4WD 8-Speed Automatic 3.6L V6 24V VVT COME SEE WHY WE ARE TOP RATED BY OUR CUSTOMERS! 2015+2014 Colorado Dealer of the Year!!!!! (Dealerrater.com) 2015 5 Star Dealer Award (Edmunds.com) 2015 & 2014 Top Certified Pre-Owned dealer (Jeep.Dodge,Chrysler,Ram) Locally owned and operated for over 70 Years! Red 2019 Jeep Cherokee Latitude Plus 4WD 9-Speed 948TE Automatic 2.0L I4 DOHC COME SEE WHY WE ARE TOP RATED BY OUR CUSTOMERS! 2015+2014 Colorado Dealer of the Year!!!!! (Dealerrater.com) 2015 5 Star Dealer Award (Edmunds.com) 2015 & 2014 Top Certified Pre-Owned dealer (Jeep.Dodge,Chrysler,Ram) Locally owned and operated for over 70 Years! Clean CARFAX. Blue 2006 Dodge Durango SLT 4WD 5-Speed Automatic HEMI 5.7L V8 Multi Displacement COME SEE WHY WE ARE TOP RATED BY OUR CUSTOMERS! 2015+2014 Colorado Dealer of the Year!!!!! (Dealerrater.com) 2015 5 Star Dealer Award (Edmunds.com) 2015 & 2014 Top Certified Pre-Owned dealer (Jeep.Dodge,Chrysler,Ram) Locally owned and operated for over 70 Years! Clean CARFAX. Black 2019 Jeep Compass Latitude 4WD 2.4L I4 COME SEE WHY WE ARE TOP RATED BY OUR CUSTOMERS! 2015+2014 Colorado Dealer of the Year!!!!! (Dealerrater.com) 2015 5 Star Dealer Award (Edmunds.com) 2015 & 2014 Top Certified Pre-Owned dealer (Jeep.Dodge,Chrysler,Ram) Locally owned and operated for over 70 Years! Clean CARFAX. Granite 2019 Dodge Grand Caravan GT FWD 6-Speed Automatic 3.6L 6-Cylinder SMPI DOHC COME SEE WHY WE ARE TOP RATED BY OUR CUSTOMERS! 2015+2014 Colorado Dealer of the Year!!!!! (Dealerrater.com) 2015 5 Star Dealer Award (Edmunds.com) 2015 & 2014 Top Certified Pre-Owned dealer (Jeep.Dodge,Chrysler,Ram) Locally owned and operated for over 70 Years! Granite 2019 Jeep Cherokee Latitude Plus 4WD 9-Speed 948TE Automatic 3.2L V6 COME SEE WHY WE ARE TOP RATED BY OUR CUSTOMERS! 2015+2014 Colorado Dealer of the Year!!!!! (Dealerrater.com) 2015 5 Star Dealer Award (Edmunds.com) 2015 & 2014 Top Certified Pre-Owned dealer (Jeep.Dodge,Chrysler,Ram) Locally owned and operated for over 70 Years! Clean CARFAX. Red 2019 Ram 1500 Classic SLT 4WD 8-Speed Automatic HEMI 5.7L V8 Multi Displacement VVT COME SEE WHY WE ARE TOP RATED BY OUR CUSTOMERS! 2015+2014 Colorado Dealer of the Year!!!!! (Dealerrater.com) 2015 5 Star Dealer Award (Edmunds.com) 2015 & 2014 Top Certified Pre-Owned dealer (Jeep.Dodge,Chrysler,Ram) Locally owned and operated for over 70 Years! Clean CARFAX. Granite 2019 Ram ProMaster 1500 136 WB FWD 6-Speed Automatic 3.6L V6 24V VVT COME SEE WHY WE ARE TOP RATED BY OUR CUSTOMERS! 2015+2014 Colorado Dealer of the Year!!!!! (Dealerrater.com) 2015 5 Star Dealer Award (Edmunds.com) 2015 & 2014 Top Certified Pre-Owned dealer (Jeep.Dodge,Chrysler,Ram) Locally owned and operated for over 70 Years! White 2019 Ram 1500 Big Horn/Lone Star 4WD 8-Speed Automatic HEMI 5.7L V8 Multi Displacement VVT COME SEE WHY WE ARE TOP RATED BY OUR CUSTOMERS! 2015+2014 Colorado Dealer of the Year!!!!! (Dealerrater.com) 2015 5 Star Dealer Award (Edmunds.com) 2015 & 2014 Top Certified Pre-Owned dealer (Jeep.Dodge,Chrysler,Ram) Locally owned and operated for over 70 Years! Clean CARFAX. Beige 2004 Ford F-250SD 4WD Power Stroke 6.0L V8 DI 32V OHV Turbodiesel COME SEE WHY WE ARE TOP RATED BY OUR CUSTOMERS! 2015+2014 Colorado Dealer of the Year!!!!! (Dealerrater.com) 2015 5 Star Dealer Award (Edmunds.com) 2015 & 2014 Top Certified Pre-Owned dealer (Jeep.Dodge,Chrysler,Ram) Locally owned and operated for over 70 Years! Clean CARFAX. Blue 2017 Nissan Rogue SV AWD CVT with Xtronic 2.5L I4 DOHC 16V 25/32 City/Highway MPG Awards: * 2017 KBB.com 10 Best SUVs Under $25,000 COME SEE WHY WE ARE TOP RATED BY OUR CUSTOMERS! 2015+2014 Colorado Dealer of the Year!!!!! (Dealerrater.com) 2015 5 Star Dealer Award (Edmunds.com) 2015 & 2014 Top Certified Pre-Owned dealer (Jeep.Dodge,Chrysler,Ram) Locally owned and operated for over 70 Years! 2016 Hyundai Genesis Coupe RWD V6 Awards: * 2016 KBB.com 5-Year Cost to Own Awards COME SEE WHY WE ARE TOP RATED BY OUR CUSTOMERS! 2015+2014 Colorado Dealer of the Year!!!!! (Dealerrater.com) 2015 5 Star Dealer Award (Edmunds.com) 2015 & 2014 Top Certified Pre-Owned dealer (Jeep.Dodge,Chrysler,Ram) Locally owned and operated for over 70 Years! White 2006 Toyota Tundra SR5 RWD 5-Speed Automatic with Overdrive 4.7L V8 DOHC VVT-i 32V COME SEE WHY WE ARE TOP RATED BY OUR CUSTOMERS! 2015+2014 Colorado Dealer of the Year!!!!! (Dealerrater.com) 2015 5 Star Dealer Award (Edmunds.com) 2015 & 2014 Top Certified Pre-Owned dealer (Jeep.Dodge,Chrysler,Ram) Locally owned and operated for over 70 Years! Clean CARFAX. White 2017 Nissan Rogue SV AWD CVT with Xtronic 2.5L I4 DOHC 16V 25/32 City/Highway MPG Awards: * 2017 KBB.com 10 Best SUVs Under $25,000 COME SEE WHY WE ARE TOP RATED BY OUR CUSTOMERS! 2015+2014 Colorado Dealer of the Year!!!!! (Dealerrater.com) 2015 5 Star Dealer Award (Edmunds.com) 2015 & 2014 Top Certified Pre-Owned dealer (Jeep.Dodge,Chrysler,Ram) Locally owned and operated for over 70 Years! Get an even better deal on your used vehicle purchase when you choose one of our 20 used cars under $10K for sale in Colorado Springs. Browse our rotating inventory here, and find a pre-owned SUV, truck, or car for sale below $10K — such as a pre-owned and spacious Jeep Cherokee — and check back regularly to make sure you catch the deal you want before it’s gone. At Perkins Motors, we work hard to ensure that there’s a car out there for every budget. Because of this, we keep a stock of affordable used cars under 10k. If you’ve been looking for great used car deals, look no further than our Colorado Springs dealership. Whether you’ve been on the hunt for a used Chrysler, Dodge, Jeep, Ram or another make or model, you can find a budget-friendly option in our inventory. Apply for financing before even stepping foot in our showroom, and get ready to drive home knowing you got a great deal. 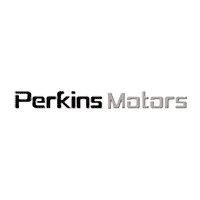 For cheap used cars for sale near Pueblo, rely on Perkins Motors!